GUELPH, ON (February 13, 2018) – Grain Farmers of Ontario, the province’s largest commodity organization, representing Ontario’s 28,000 barley, corn, oat, soybean and wheat farmers, today announces Markus Haerle has been named the new Chair of Board, effective immediately. 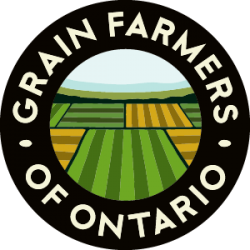 Grain Farmers of Ontario also elected a new Executive Committee today. 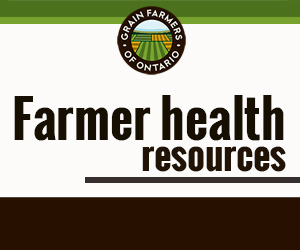 Grain Farmers of Ontario Vice Chairs are Brendan Byrne, Director for District 1, and Mark Huston, Director for District 2. Scott Persall, Director for District 5, will hold the position of Executive Member. Grain Farmers of Ontario celebrates the work and leadership of departing Chair, Mark Brock. Brock remains a director for District 9. In his three-year term as Chair, Brock was a respected voice for grain farmers and has served as an important advocate for programs such as the 4Rs nutrient stewardship, sustainability, business risk management, and has been an important advocate for grain farmers in policy discussions with our provincial and federal governments. “Mark is a phenomenal leader and we are privileged to have worked with him. We know he will continue to be an important advocate and champion for farmer-members as a District Director and representing GFO on various organizations” said Barry Senft, CEO, Grain Farmers of Ontario. To read more about the Grain Farmers of Ontario Board of Directors and delegates, please visit: gfo.ca/About-Us/Directors.